Give the gift of Birdwood with lessons and gift cards! The Birdwood Pro Shop has a limited stock of equipment, apparel and accessories during the renovation. We can special order the most popular and latest putters, clubs, golf bags and balls by brands such as Callaway, Mizuno, Nike, Titleist, and others. 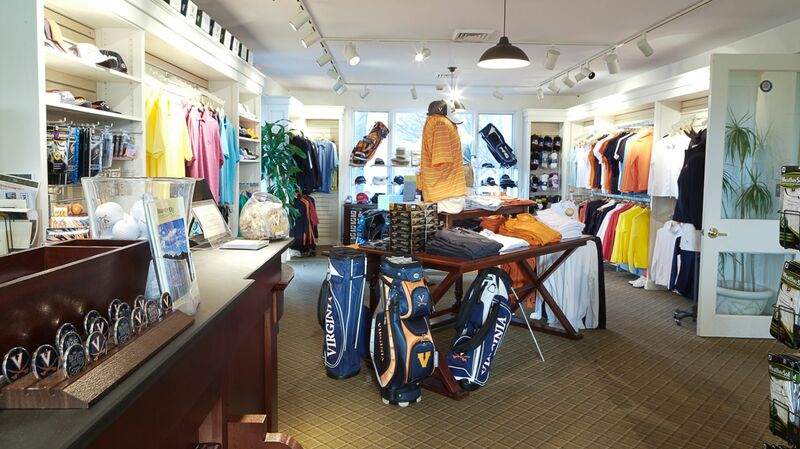 You will also find clothing and accessories by Cutter & Buck, Nike, Greg Norman and FootJoy, as well as a assortment of items featuring various UVA logos. Custom orders are always available upon request. For more information on our offerings and services, please call the Pro Shop at (434) 293-GOLF (4653).